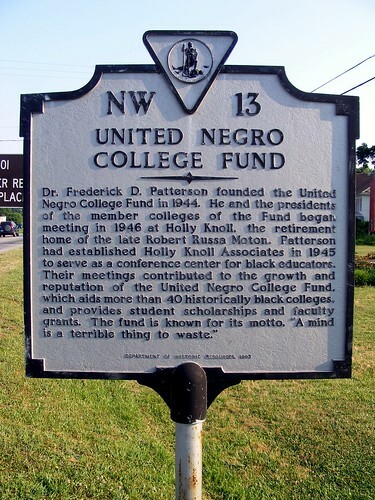 Historical marker for the UNCF in Virginia. “UNCF has become one of the country’s most prominent advocates for the importance of students getting the preschool-through-high school education they need to succeed in college, and Washington is the hub of the national conversation about how to make sure they get that preparation for college,” said Michael L. Lomax, Ph.D., UNCF president and CEO. “UNCF also wants to be able to provide college-focused information and services directly to DC-area students and the hundreds of thousands of students who visit DC each year. To be an effective advocate for education reform, and to help children of color prepare for college UNCF has to be in D.C.
Our Place: Helping Forgotten Women Find Their Place in D.C.
What To Call Gentrification By Non-Whites: Does Race Matter? ← Emancipation and the Struggle Over Equality in D.C.